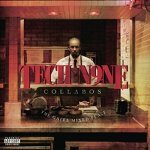 2010 is winding down and subsequently there will be no more Strange Music releases to satiate the fans’ hunger for elite hip hop. After evaluating all the releases within the past year, we want to know which one is the fan favorite. From the dark and disturbing Dinner and a Movie and Seepage to the light and festive The Gates Mixed Plate and Shock Treatment, this year had much to offer for listeners of all tastes. The first chapter in Brotha Lynch Hung’s serial-killer trilogy features dark and ominous production to co-star with Lynch’s transformation into the Coathanga Strangla. Notable songs include “Colostomy Bag”, “D.O.A.”, and “Don’t Worry Momma, It’s Just Bleeding”. Automatic marked the arrival of a new face to the fans and not to mention a dope MC with lyrics to spare. 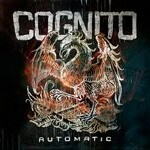 Stellar production coincided with Cognito’s vicious delivery and flow on tracks like “Outcast”, “Born 2 Be Fly”, and “Violated”. 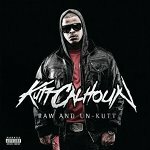 Kutt Calhoun’s third release takes you into The Good, The Bad, and The Ugly. Kutt Calhoun displays his trademark dexterity and delivery on tracks like “Dark Knights”, “Flip It Ova”, and “Naked”. The multi-talented man with 100 voices gave us Shock Treatment this year, an eclectic blend of pop and hip hop set to the sounds of synthesizers and heavy drums. 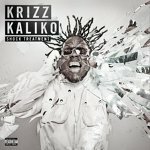 On tracks like “Get Around”, “Elevator”, and “Get Active”, Krizz shows us that having a good time is still very much in vogue. 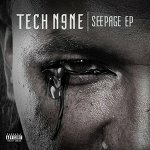 In reply to accusations of having gone soft, as well as a personal catharsis for his mother going to the hospital, Tech N9ne made the Seepage EP. A return to the darkside, this EP was hailed by many fans and features “Alucard” and “Trippin’ Comin'”.